The mobilization of members in an Acts 1:8 model of local, national, and international missions engagement is a goal of most churches. Yet, many churches fail to maximize member mobilization because of a limited strategy. Broad based participation in hands on mission experiences requires providing options that appeal to a variety of demographics, passions, and abilities and offer a range of cost, time requirements, and locations. Below are examples of how to structure missions mobilization efforts in a way that will encourage the broadest range of church member participation. You may find it helpful to think in terms of categories, or buckets, when considering mission trips, projects, and partnerships. 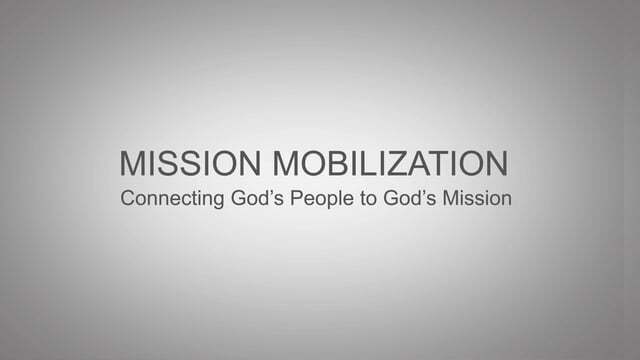 A well rounded missions mobilization strategy will offer, over time, a sampling from each of the following. Evangelism Based: Opportunities that appeal to members with prophetic and evangelism gifts and passions as they are designed to verbally share the gospel with unreached people. Examples include revivals, church services, one on one faith sharing, and track distribution. Equipping Based: Opportunities that appeal to members with teaching and exhorting gifts and passions as they are designed to disciple believers. Examples include nationals leader training events, teaching at international schools and seminaries, and scripture distribution. Compassion Based: Opportunities that appeal to members with gifts of pastor/shepherd and mercy as they are designed to minister to the “least of these.” Examples include the poor, homeless, orphans, widows, elderly, handicapped, grief-stricken, depressed, lonely, and disenfranchised. Medical Based: Opportunities that appeal to members in health care related fields as they are designed to meet medical needs in a missions context. Examples include dental and medical exams and screenings, surgery, shots, and eye glass distribution. Construction and Agriculture Based: Opportunities that appeal to members who love to use their hands and have skills in various aspects of construction, remodeling, and agriculture. Examples include building and restoring churches, businesses, and homes, well digging, and organic farming. Business Based: Opportunities that appeal to business related professions as they are designed to allow members to use or teach their professional skills and experiences in a missions context. Examples include the fields of banking, finance, accounting, law, sales, administration, and business start-up. Music Based: Opportunities that appeal to musicians as they are designed to allow members to use their voice and instrumental skills in leading and teaching worship in a missions context. Examples include worship services, concerts, training, and special events. Disaster Relief Based: Opportunities that appeal to members who have a passion to respond to those in crisis as they are designed to meet the immediate needs of those who have experienced a physical loss. Examples include tree cutting, dry wall, roofing, trash hauling, and food and shelter provision following local, national and international floods, tornadoes, earth quakes, fires, and hurricanes. Family Based: Opportunities that appeal to families with children at home as they are designed to provide mission related projects that families can participate in together. Examples include Vacation Bible Schools, Day Camps, and Resort Ministry. Service Based: Opportunities that appeal to members with serving, hospitality, and encouragement gifts as they are designed to require no specific skill or experience. Examples include serving food, distributing clothes and medicine, cleaning, childcare, and hosting. 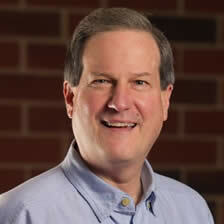 Prayer Based: Opportunities that appeal to members with a passion for missional prayer. 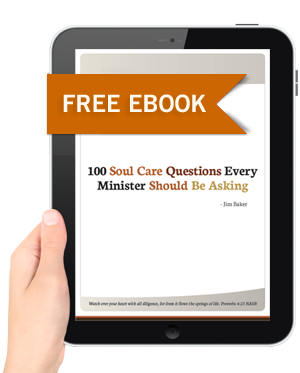 Examples include prayer walking, prayer meetings, prayer grams, and prayer vigils. People Group Based: Opportunities that appeal to members with a passion for a specific group of people or nationality as they minister to an unreached or under reached country or people group. Examples include targeting various ethnic groups, minorities, tribes, generations, neighborhoods, and sub-cultures. Event Based: Opportunities that allow members to be on mission at large scale community events. Examples include State Fairs, Festivals, Carnivals, Concerts, Shows, and Seasonal Events. Giving Based: Opportunities that appeal to members with the gift of giving and the means to assist financially. Examples include annual offerings, project specific appeals, scholarships, and sponsorships. Live, Learn, Work, and Play Based: Opportunities that allow members to be on mission with their family, friends, school mates, work associates, and with those they recreate with. Examples include providing meals, picnics, block parties, and home and business bible studies. Pilgrimage Based: Opportunities that allow members to be on mission while experiencing a religious or spiritual journey to a sacred place. Examples might include journeys to the Holy Land, Rome, Ephesus, Iona, Santiago de Compostela, etc. Church Planting Based: Opportunities for members with a passion for starting churches. Examples include planting a church, assisting a church planter, revitalizing a church, and training church planters. Local, National, and International Based: Each of the above opportunities can be further differentiated into projects at the local community, state, North American, and global levels offered with a variety of costs, distances, time commitments, and months of the year.